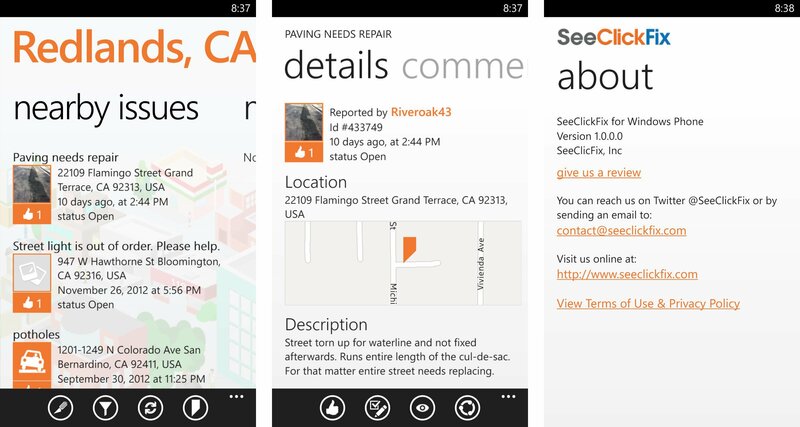 Pencil in another small victory for Windows Phone in your scorebooks, we just picked up SeeClickFix. It’s an app has been out for rival platforms iOS, Android and BlackBerry, but now it’s sitting in the Windows Phone Store for you to download. SeeClickFix is a simple application to help citizens interact with and report non-emergency issues to their local city governments. CitySourced is a similar app, but SeeClickFix looks and performs better. Check it out. SeeClickFix (www.seeclickfix.com) is a service that combines a web portal with apps for every major platform to allow citizens to connect to their cities. Users can report issues like potholes, broken signs, etc. and allow local government to better address and serve their citizens. It’s a nifty application and allows you to report issues without making a call or writing a letter – a solution for the 21st century. Reports that users submit can be fairly detailed and provide good insight into how your government operates. When reporting an issue the app automatically grabs your location, then you add a title, subject and picture of the issue. Once the issue is reported, government employees and other citizens can track the progress of whether or not the issue has been resolved. It’s genius to help users hold their government accountable. It’s also refreshing to have an app that doesn’t require you to set up an account to use it. You can submit issues anonymously, which is a good thing if you’re reporting something like graffiti and don’t want anyone to retaliate against your prize winning petunias. 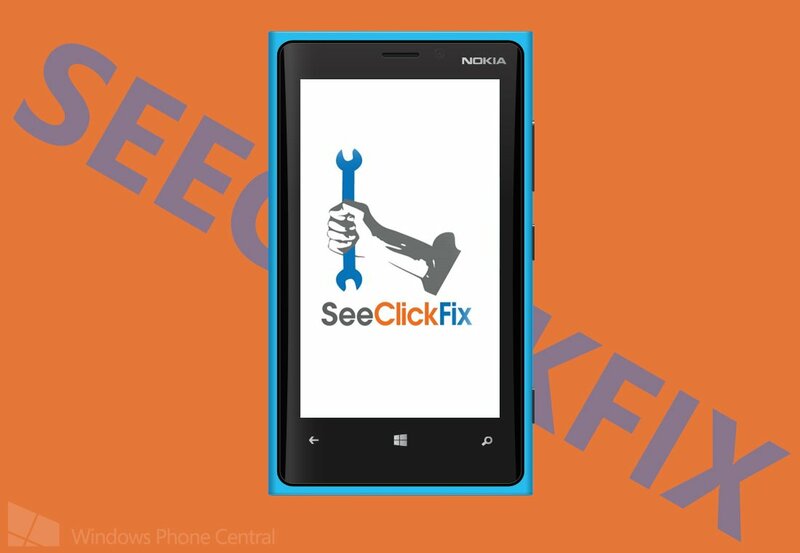 SeeClickFix is a free app for citizens. It looks like their business model revolves around providing services and solutions to governments and media outlets. That said, feel free to download the app and help do your part to improve your city. If you’re rocking a Windows Phone 8 device you can download here in the Windows Phone Store, use the QR code below, or swipe right in our app.